EPC in Affiliate Marketing | How to choose best Affiliate Offer? 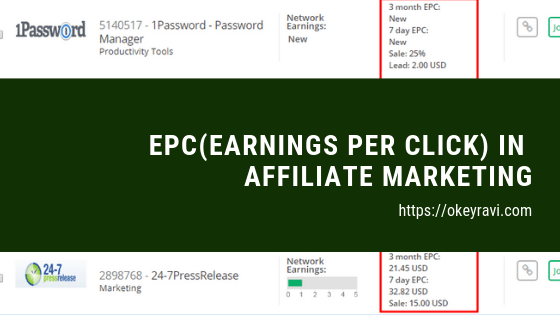 EPC (Earnings per Click) is an important performance metrics used by affiliate networks for reporting merchant and affiliate marketers about the performance of any particular affiliate campaign. EPC=(Total commissions earned/total no of clicks) in general. Advance SEO Tutorial – How to start with SEO step by step? How to Add a Custom 404 Error Page on Your Website?